We excited to spread 10,000 rainbows across Perth as our March edition hits the streets. Inside there’s interviews with legendary playwright Michael Gow, Joel Creasey chats about tabloid rumours and we open a box of Jatz Crackers and get AthenaX Lavendi on the phone. Delve into the world of opera with Paull-Anthony Keightley whose appearing in the WA Opera’s upcoming production of Tosca. Find out what comedian Jonathan Duffy has been up to since he moved to Iceland and mark National Youth Week by reading some personal stories from local queer youth. Plus there’s fashion, fitness, real state, events, music reviews, and recommendations for the best upcoming film and television shows. Rainbows – they’re symbols of existence, belonging and inclusion. It’s a motif for community, being engaged, respect and being non-judgemental. 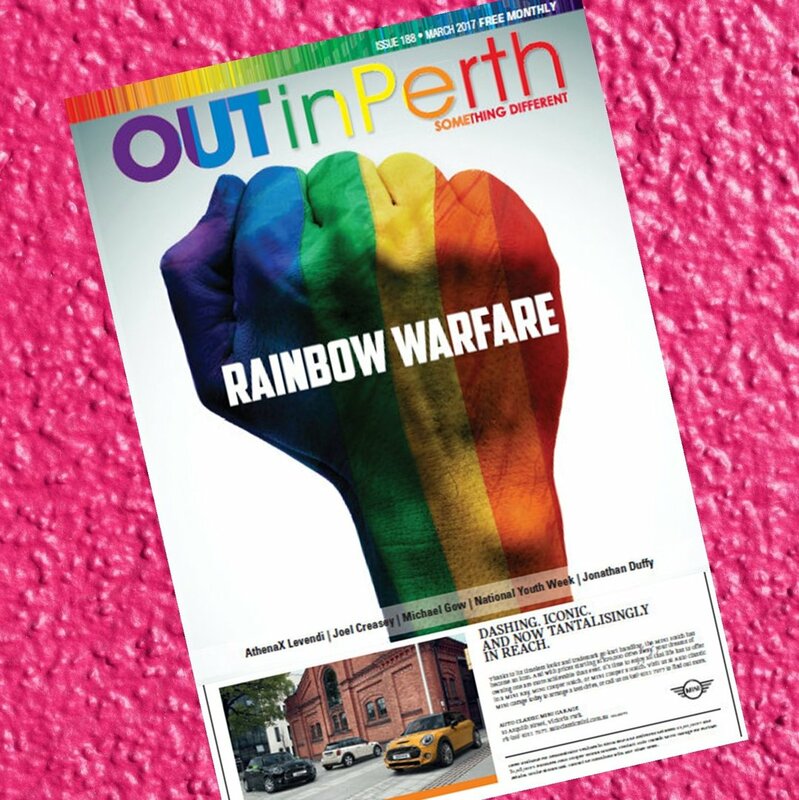 Pick up your rainbow clad copy of OUTinPerth today.